Clay pigeons weren’t the only thing that Fourth Former, Darcy McBride smashed at the weekend. 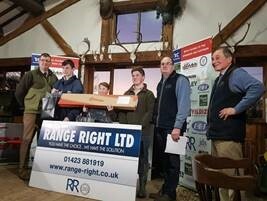 Darcy also disseminated the last of the competition in the Schools Winter Series at the Oxford Gun Company, which saw Darcy come first in the Prep competition, with an outstanding score of 49 out of 50 points! Additionally he also won High Gun for the day, beating every other score across all categories by two clays. After such a great result, Darcy now goes into the finals in a great position, lots of confidence and with an excellent chance. Good luck Darcy!